Volkswagen Group Ireland has announced that it is expanding its electric car retail network to another 11 of its franchisees, which now means that half of all Irish Volkswagen dealers are now ready and able to sell and care for Volkswagen's electric car range. It's expected that all Volkswagen dealers will be electric car-ready by the end of 2019. For now, that means only one model - the e-Golf - but from the end of this year, the range will also encompass the new I.D. with its 500km one-charge range and ultra-spacious cabin. 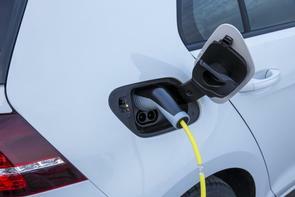 According to Volkswagen, its BEV (Battery Electric Vehicle) dealers must "meet exact standards when it comes to tooling, training, servicing standards and product knowledge before they can be certified to sell BEVs and with the brand's increased focus on the future of e-mobility have appointed new BEV dealers across the breadth of the country." From the new list, in Dublin, Frank Keane Deansgrange and Joe Duffy North join existing BEV retailers Joe Duffy Swords and Frank Keane Liffey Valley to bring the number of BEV retailers in Dublin to four. In County Kildare, Sheehy Motors in Naas has been a BEV retailer since early 2018. In Louth, the BEV-enabled retailer is Western Motors, Drogheda. Newmarket Motors in Cork has been changed from a PHEV (Plug-in Hybrid) to a BEV retailer, and Blackwater Motors Fermoy is added to Cork's other current BEV retailer Blackwater Motors Cork City. In Cavan, Brady's of Arva is now a Volkswagen BEV retailer. Western Motors in Galway and Kevin Connolly in Sligo will serve the west of Ireland. Frank Hogan has been appointed in Limerick and in the Midlands, Michael Moore's two retailers in Athlone and Portarlington serve customers in Westmeath and Laois. Pierse Motors in Tipperary and Volkswagen Wexford have been changed from PHEV retailers to full BEV retailers.